If I were to name the best directors working today, I would probably name Paul Thomas Anderson (with other contenders being the Coen brothers and Michael Haneke). PTA is in my mind a genius director who in future years will rank next to the names of Stanley Kubrick and Orson Welles as one of the greatest directors of all time. Anderson is an innovator, an ambitious director who approaches his subjects with vitality and ingenuity. He’s not only a great storyteller but also a great craftsman, who can take on any subject in his pictures, even the adult film industry. 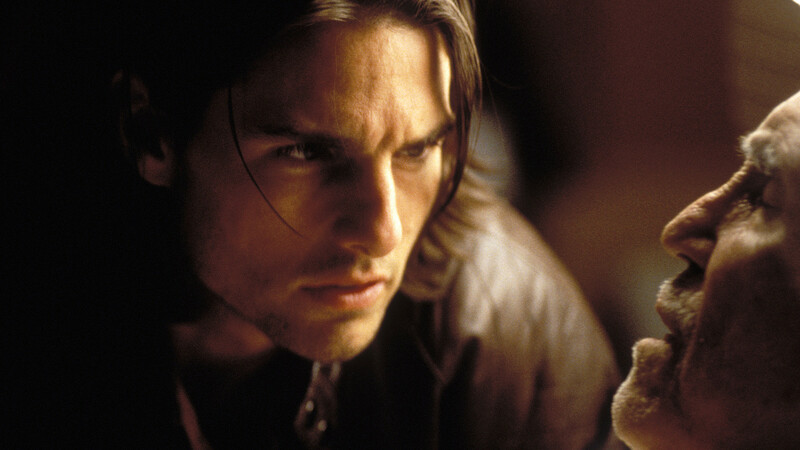 Anderson emerged as a director in the mid-nineties, when most filmmakers attempted to copy the decade’s most influential new figure in cinema Quentin Tarantino. Anderson’s early approach to filmmaking is similar to Tarantino. In fact, Boogie Nights is clearly reminiscent of Tarantino’s style, and both filmmakers often pay homages to classic pictures in their work. But Tarantino’s movies are rooted in wild fantasies and homages (which is not a criticism, this is the strength of Tarantino’s work) whereas Anderson’s stem directly from reality. Anderson can turn a wild dream into a nightmarish or tearful scene, be it the fall of Dirk Diggler in Boogie Nights to the emotional collapse in Magnolia. And while I think Tarantino is one of the best directors of the past twenty years, I would say Anderson is a superior filmmaker. It’s clear that the two biggest influences on Anderson’s work are Martin Scorsese and Robert Altman. This element is probably most evident in his early works (both Boogie Nights and Magnolia boast ensemble casts like many of Altman’s films), but Anderson has retained this throughout his entire filmography. Like Scorsese, Anderson approaches a subject with both exuberance and pain. The characters in Anderson’s movies are never quite happy. Some try to hide their emotions or personas like Daniel Plainview or Barry Egan, which leads to destructive results. Others are in inner conflict with themselves, like Freddy Quell. These characters aren’t too different from some of the people who have populated Scorsese’s work, like Travis Bickle and Jesus Christ. Anderson also often utilizes Scorsese’s quick editing and pacing. The long takes in Magnolia and Boogie Nights clearly pay their dues to the Copablanca scene in GoodFellas. And like Altman, Anderson often adds humor and gracefulness to his pictures, as the characters slowly come to realize themselves. Both Magnolia and Short Cuts are about the lives of flawed people living in Las Angeles. As Anderson progressed, he more or less developed his own style. Punch-Drunk Love, There Will Be Blood, and The Master are all clearly original pieces of work from the director’s mind. Anderson has retained his insight on human actions, but his films have become more challenging, more intellectual, and he has even improved his craftsmanship. So let me name by favorite movies by Anderson. The director only has six pictures but each is equally accomplished. Let me name my justification for my picks. Hard Eight, Anderson’s first project, is a strong experimental movie that doesn’t quite reach the heights of the director’s career but shows his potential nevertheless. Punch-Drunk Love could be described something of an art-house Adam Sandler movie, and it’s a fascinating character study, complimented by Sandler’s career best performance. It pains me to put Boogie Nights so low at fourth, as it is quite an extraordinary movie, but I prefer my later picks more. But it still is an engaging and hysterical look at the adult film industry. The Master, Anderson’s latest movie, is his most polarizing, but also his most fascinating. It’s not as much as an expose on Scientology (represented by the fictional cult the “Cause”) than it is about its protagonist Freddy Quell, a drifter searching for himself in the post-World War II society. There Will Be Blood, on the other hand, is the director’s most accessible. With Daniel Day-Lewis, Anderson creates a masterpiece that rivals Citizen Kane in its examination of American greed. Magnolia remains my favorite as it’s the one I could watch the most. Through the pained faces of lost souls in Las Angeles, Anderson crafts a tale about sadness and gloom. It combines a whole array of emotions that come together in a way unexpected by anyone. But if you asked me what Anderson’s best picture was, I would be hard-pressed to pick between Magnolia and There Will Be Blood. There Will Be Blood focuses more on the brutality of humanity rather than the innocence in Magnolia. It’s a devious, fierce picture that’s an extraordinary portrait of America in the early twentieth century. But what’s your opinion on the director? Are you a fan like myself, or do you find his work off-putting and pretentious? I’ve seen 3 of his films. One i liked, 2 I hated. So, not my cup of tea. And yet, everyone else gushes over him. Thanks for the comment. Which film did you like and which ones you didn’t? I really liked There will be Blood. Hate both boogie nights and the master. I’m a huge fan as well. There Will Be Blood is a flawless movie in my book and one of my all-time favorites. Great overview of a great director! Interesting comparison with Tarantino. Magnolia actually reminded me of Pulp Fiction a bit, with the intersecting stories of personal redemption, but Magnolia’s scope seems even larger, focusing on all of the characters equally while Tarantino zeros in on one of them towards the end. I wonder if it was an influence? Though I haven’t seen all of his films yet, I have liked all the ones I’ve seen. I especially love The Master and There Will Be Blood. I’m honestly not sure which is better or which one I would rank higher. I really love both films a lot! I’m really excited to see Inherent Vice next year! I’m glad he’ll be working with Phoenix again, and the rest of the cast looks great as well! Thanks! That’s a great comparison of Magnolia to Pulp Fiction. Boogie Nights is even closer. I also found it similar to Robert Altman’s work. I love The Master, but gave There Will Be Blood a slight edge, though I might change my mind eventually. And I’m pumped about Inherent Vice as well. One of my favourite filmmakers, no question. My ranking is almost identical to yours. Thanks! PTA’s one of my favorites as well. I love all of his movies and I’m looking forward to Inherent Vice next year. 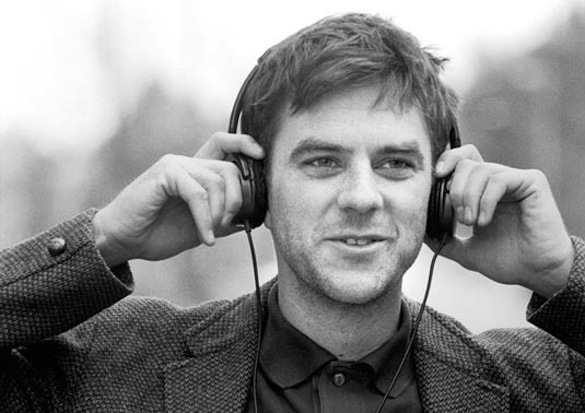 PTA is certainly today’s greatest director, by a long way. I’d best hesitant to place him with Welles or Kubrick, solely because film criticism today is so much worse than it used to be. (Critics like Rosenbaum, Farber, Godard, Bazin and Sarris first established that Welles and Kubrick were existentialists.) Most of today’s critics see him as a deep entertainer, so I’d say he’ll end up among the Martin Scorsese/Robert Altman/Sidney Lumet crowd. I’m certainly glad he moved away from Tarantino’s style (which lately has been bothering me). He’s truly a genius. Glad to see you’re a big fan too. That’s a good point, and I think he’s the next Scorsese. Nice rankings, I’m very excited about Inherent Vice next year. Only seen two of his movies, There Will Be Blood and The Master and I love them both, so I should look into more of his stuff probably. Thanks! He’s done some really great work and I love all of his movies. I can’t argue too strongly with your picks, though mine would be a little different. While I admire The Master and put it in my Top 10 from last year, it’s actually at the bottom of my list. It just felt cold to me, despite the strong acting and remarkable cinematography. I’m right with you on the top pick. Magnolia is definitely the movie I can watch the most and also the most accessible. I think it’s an interesting bridge to the later movies. The top two picks are well above the others, and there are no bad films. Thanks for the comment. 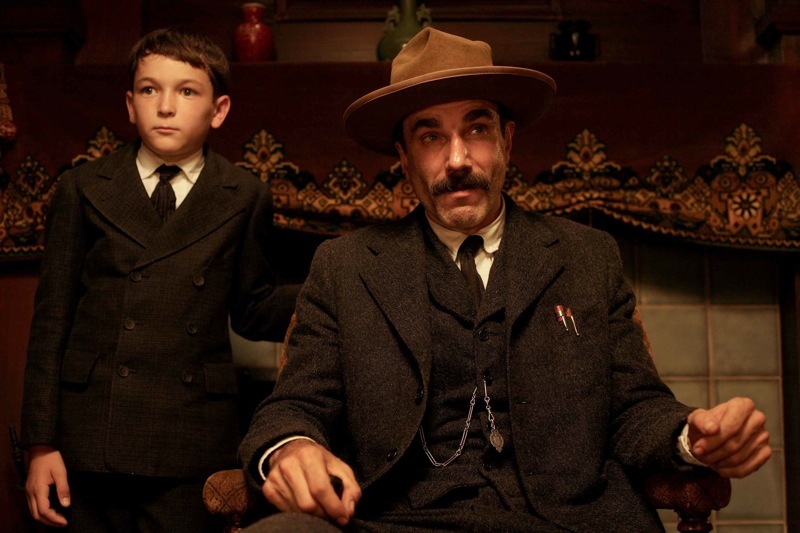 I think enjoying The Master, or any PTA movie, is if you connect with the characters. I did. I wouldn’t say Magnolia’s his most accessible since the length and the ending are kind of off-putting, but it’s my favorite and probably his best. Nice choices, he hasn’t made a bad film yet. Nice writeup. For my money, PTA and Darren Aronofsky are the best two directors working today. Thanks! Darren Aronofsky’s another great director working today. That’s a great ranking and I can’t argue with There Will Be Blood being number one. While Magnolia’s my favorite, I think I might say that one is his best. I’ve only seen 2 of his. The Master and There Will Be Blood. I did not like the former, but oddly very much loved the latter. His style is unique and makes me want to see Magnolia, but I really have no interest in his others. I am glad to see Magnolia at the top of your Anderson list. Thanks for the comment. Magnolia is a must see and one of my all time favorite movies. The others are great as well, and I think Boogie Nights is one of his more accessible films.